Every year, San Francisco has its fair share of amazing dance concerts – from stunning classical performances to outstanding contemporary programs. Yet, even in 2014, these two genres still remain pretty separate. But then there are the special evenings that bring traditional and modern dance companies together on a single stage, once again reminding San Francisco audiences of the great artistic breadth that exists in this region. 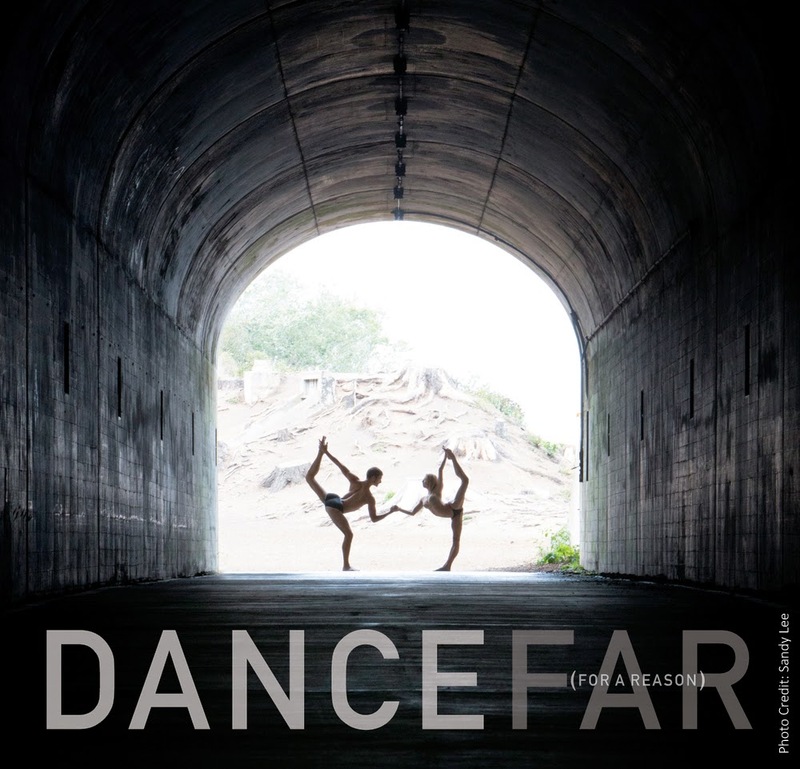 DanceFAR, Dance For A Reason, provides one such opportunity with its annual gala event, this year held at Yerba Buena Center for the Arts Theater. But more than just being a phenomenal sampling of what the San Francisco professional dance scene has to offer, Dance For A Reason is all about giving back. All the show’s artistic contributions are donated, with the program’s proceeds benefiting The Cancer Prevention Institute of California and the UCSF Melanoma Center. In just three short years, DanceFAR co-founders Margaret Karl, Garen Scribner and James Sofranko have created something very special to support a cause that affects so many. Act I opened with Smuin Ballet in an excerpt from Garrett Ammon’s “Serenade For Strings”. What began as quiet, flowing movement quickly exploded into a wave of physicality – both innocent and exciting at the same time. Ballet San Jose’s Lahna Vanderbush and Kendall Teague followed in an excerpt from “Minus 16” by Ohad Naharin, a hauntingly stark duet. Post:Ballet brought Robert Dekkers’ “Yours Is Mine”, an intensely physical quartet with underscores of confrontation, aggression, competition and seduction. Special guests Ana Lopez and Garrett Patrick Anderson from Hubbard Street Dance Chicago communicated the idiosyncrasies of a relationship in an excerpt from “Deep Down Dos”. Alejandro Cerrudo’s choreography was full of hope, looking beyond the present moment. And the duet was beautifully bookended with the same intertwined posture at the beginning and the conclusion. Kate Weare’s “Drop Down” for ODC/Dance is one of the most charged pas de deuxs I have ever seen. And even though I know that there is a dramatic fall about two thirds of the way through, it still has the power to shock me each time. Act I closed with San Francisco Ballet in Hans Van Manen’s “Solo”. This trio (danced by Hansuke Yamamoto, Joseph Walsh and Pascal Molat) is full of unexpected turns and sculptural balances. But the most compelling part of “Solo” is that, as the title suggests, it speaks to and reveals individual personalities. Incidentally, Walsh’s sequence of piqué turns ending in arabesque was one of the best combinations of the entire night. Tap artist Joe Orrach quite literally kicked off the second Act with two lightning-fast percussive dance solos. Orrach was a great addition to the line-up; the unaccompanied a cappella segments in his performance being of particular note. Up next was SFDanceworks in Penny Saunders “Berceuse”, danced by Pablo Piantino and Saunders herself. “Berceuse” is a gorgeous duet full of shifting circumstances – directional, weight, centeredness and the choreography itself has a rare quality of being both accessible yet incredibly complex. Maurya Kerr’s tinypistol offered an excerpt from “Wantful”, a tense contest of intention and exertion of will. Guest artists Danielle Rowe and Brett Conway from Nederlands Dans Theater I danced Sol Leon and Paul Lightfoot’s “Softly, As I Leave You”. A day later, I am still thinking about their performance and definitely hope to see this piece again. Its mixture of trapped desperation and unencumbered abandon was certainly a highlight of DanceFAR 2014. Last but certainly not least, Alonzo King LINES Ballet took the stage in an excerpt of King’s “Rasa”, complete with live musical accompaniment. The company dancers shone brightly in this physical tour de force, where different styles and movement genres were astutely woven into a masterful movement hybrid.